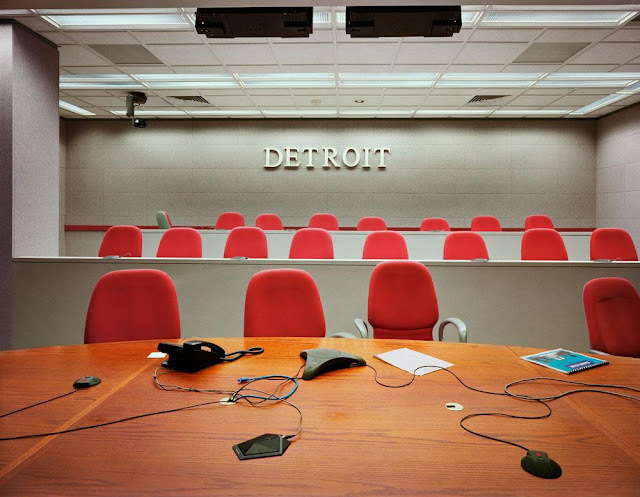 For decades the Motor City was America’s icon of prosperity, but Detroit has fallen into an incredible state of dilapidation since the decline of the American auto industry. 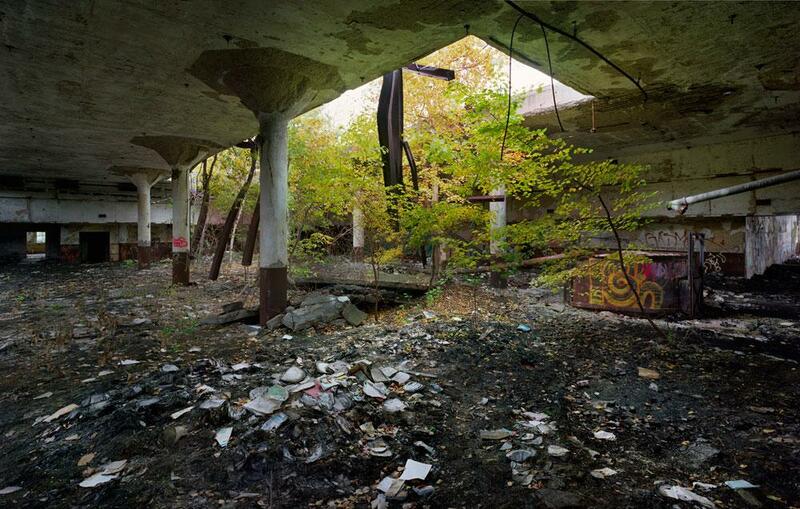 Once America’s fourth largest city, Detroit’s 138 square miles are now one-third empty land dotted with thousands of abandoned structures. Not just humble homes but also grand architectural statements of prosperity and power have been reduced to vacant shells. 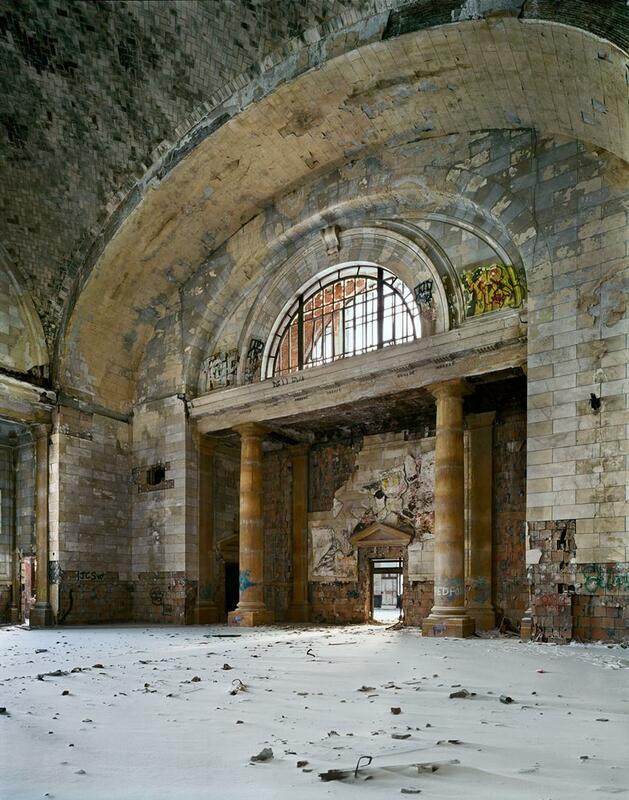 For generations Americans have gone to Europe to visit its castles and coliseums; now Europeans tour Detroit’s ruins. 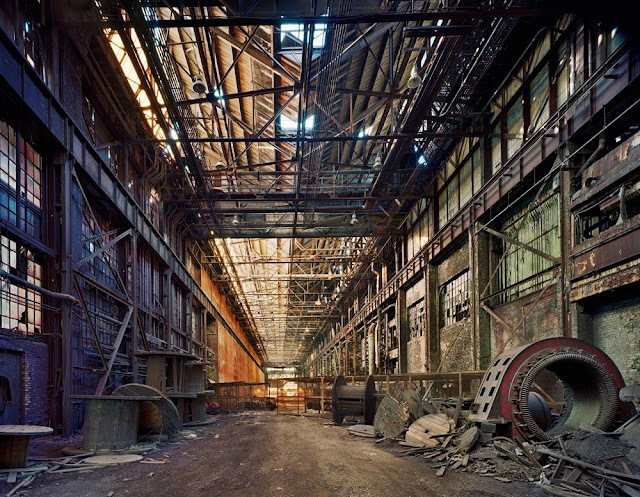 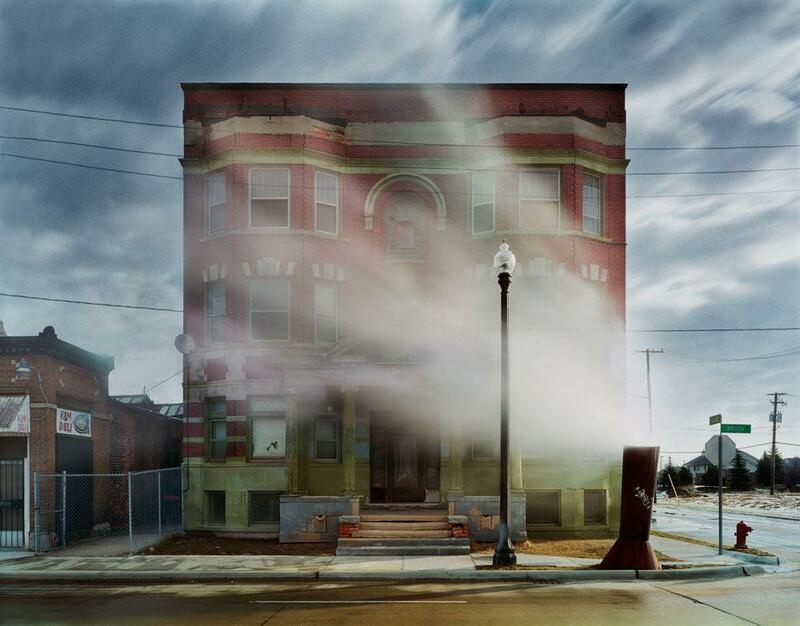 In Detroit Disassembled, Andrew Moore reveals the tragic beauty of this unsettled and unsettling territory. Thirty monumentally scaled photographs depict the windowless grand hotels, vast barren factories, collapsing churches, offices carpeted in velvety moss and entire blocks reclaimed by prairie grass. These epic images disclose how the forward march of the assembly line has been thrown spectacularly into reverse in Detroit.